Every time I walk pass a sandwich store or a cafe in town, I am reminded of the severely limited options available to me and my colleagues since moving to the new MapleTree Business City. Visitors to our office gush at how wonderful the place looks and how lucky we must be to have such a great view of the sea. But seriously, they are just suffering from “tourist blindness”. As you can well imagine, being a tourist in a foreign country is vastly different from actually staying put for the long term. 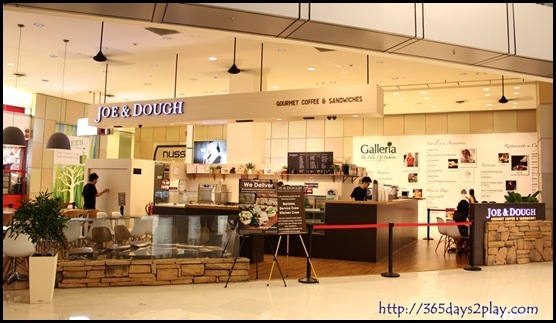 The other day, I happened to be in the Suntec Area and I chanced upon this sandwich place called Joe & Dough, which is right next to Carrefour. I have no idea if this place serves nice sandwiches or not, but I have a soft spot for catchy names and nice looking cafes so I’m quite keen to try this place out. Anyone know if this place is good? I checked out Joe & Dough’s menu and it seems pretty okay. Well, nowadays, anything is better than Cedele! Not that there’s anything bad about Cedele, but I now associate Cedele with not so nice memories! Even though I used to like Cedele a lot, I am so sick of the place considering that I have been eating there several times a week! Not to mention that that’s the thing I usually have when I have to WORK LATE! This all being thanks to the location of my office. 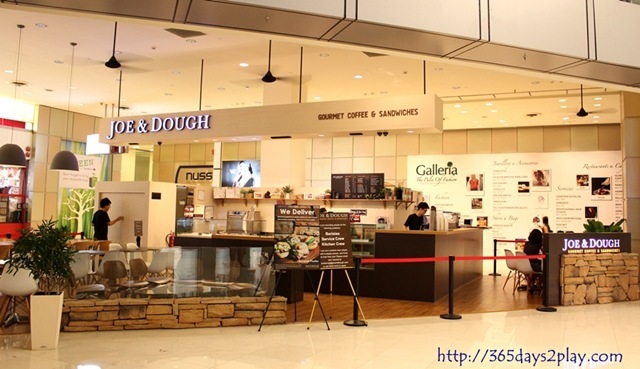 I’m going to be on leave on Monday so I’m going to go into Shenton Way and check out the new cafes and sandwich bars there. Quite a number of cool looking ones have popped up in recent months and I really wanna see if they are any good. Another question since we’re on the topic. What do you refer to our CBD area as? I call it Shenton Way, but obviously that’s just one of the roads there. Do you refer to the CBD area as Raffles Place?